Many of us at some point or the other have had to deal with the attentions of obsessive lovers or over-possessive, needy friends.Experience tells us that this trait, if not nipped at the bud can become dark and murky. Love is defined as a strong bond between two people. And when that is threatened (imaginatively or really), the person becomes possessive, obsessive and paranoid to save their bond. This could just as well happen between friends, parent and child, as with lovers. People with low self image and confidence generally become obsessive in their relationships. Early childhood experiences also play a big role in determining how one behaves in his relationships later.Over critical parents who constantly keep rejecting their child, scar them for life. As adults, when they get into their first relationship, they find acceptance, but eventually become possessive,if that bond is threatened in anyway. A series of failed relationships can also lead to an obsessive personality.They grow out to be insecure individuals who fear being ditched repeatedly. There are some obsessive lovers who turn out to be sadistic. They can even go to the extent of harming the person. Such people usually suffer from psychopathic or anti-social tendencies. You follow them everywhere and question them time and again about their whereabouts or who they are talking to. Tell yourself that eventually you will get someone better. If the stalker is an ex, who threatens to show the world your personal pictures, letters, cards, do not feel scared. Chances are that they may be just empty threats. The above is the edited version of an article from TOI news paper. Honestly speaking I was a obsessive lover at one(three) point of time. Those are the bad patches of my life and of-course for the opponent also . There may be several reasons for being a obsessive lover but still its not good for a happy life either side. Its good that I have learnt quickly from the lessons (bad experiences) and not went to a worse level of obsessive. In the past two years I can see great differences in me for not being obsessive and getting used to handle things. Thanks for all the introspection and to all the so called closed ones I missed. 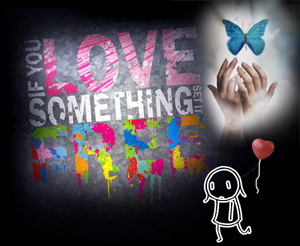 Just simply …”If u love something …just set it free…!“. Dance of Democracy – TN Elections 2019!!! Good / Bad – Emotions are Same !!! The Best War Movie I Have Ever Seen!